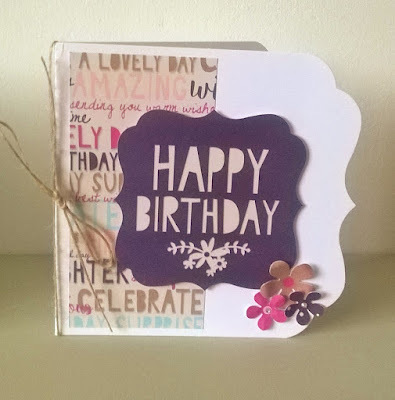 I thought today I could share a few cards I made with Craftwork cards "Beau papier" kit. It's their most recent release can consists of a mix of bright bold colours and natural muted tones, I know, I know, it sounds like a clashing of colours but believe me it's not. The kit has natural Kraft coloured paper, designs resembling paper cutting patterns and so much more. 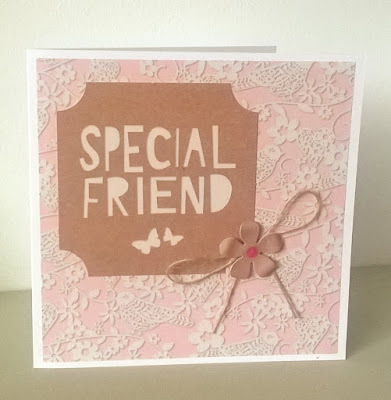 My first card is a very simple one; A piece pf baking paper in a chalky pink with a Kraft brown topper, a paper flower and a thin twine bow, understated yet luxurious. 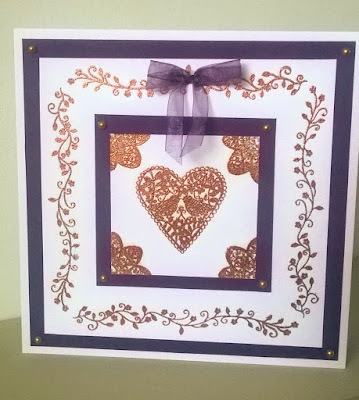 This card was made using the matching clear stamps from the Julie loves range, a topper from the main kit and some twine. 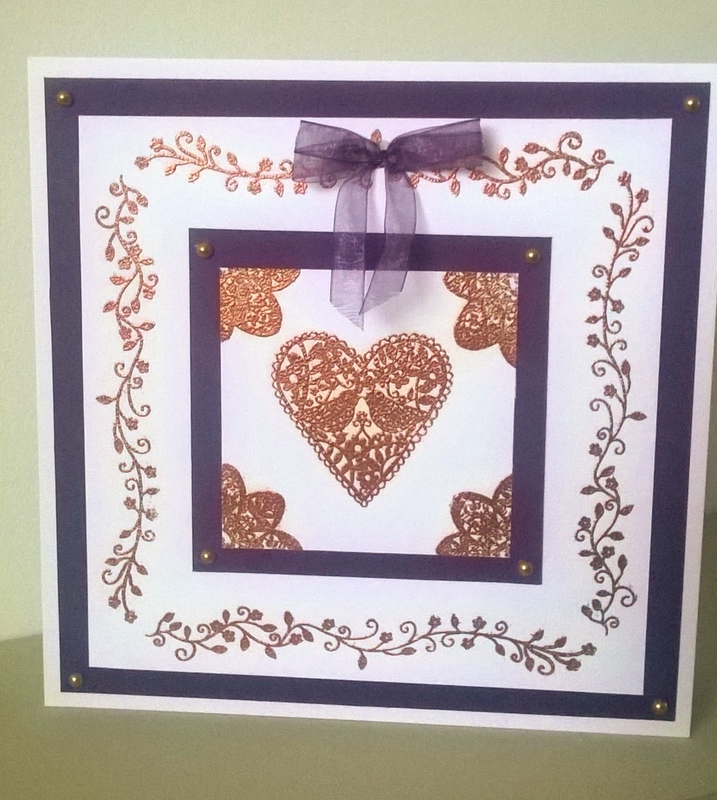 The next card is a bit brighter and a fancy shape, I was getting a bit braver here. 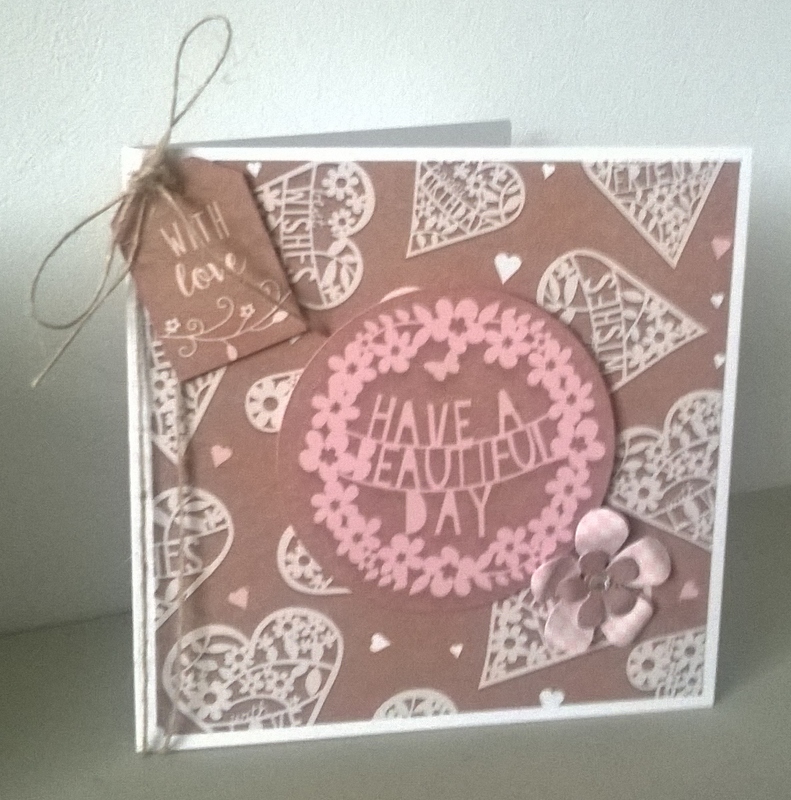 The Aubergene, pink and natural brown really compliment each other. 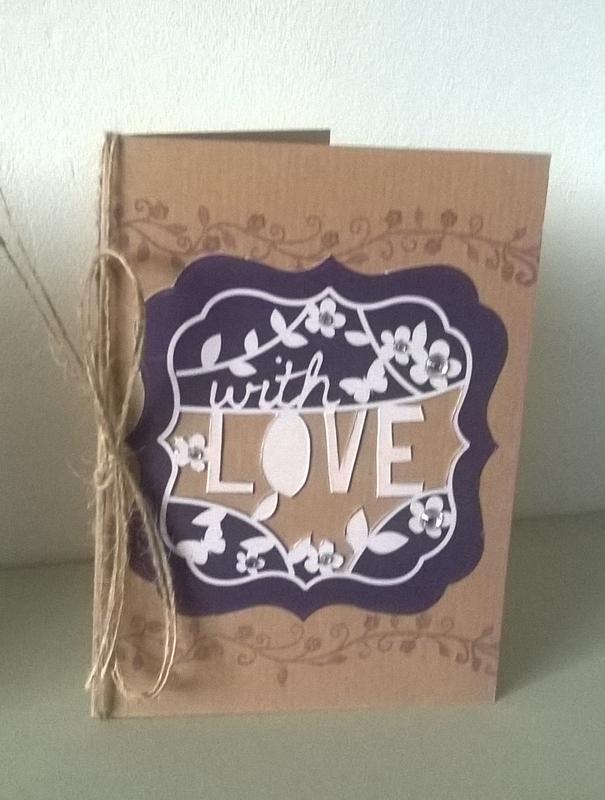 The flowers are from the kit and again I added some twine. 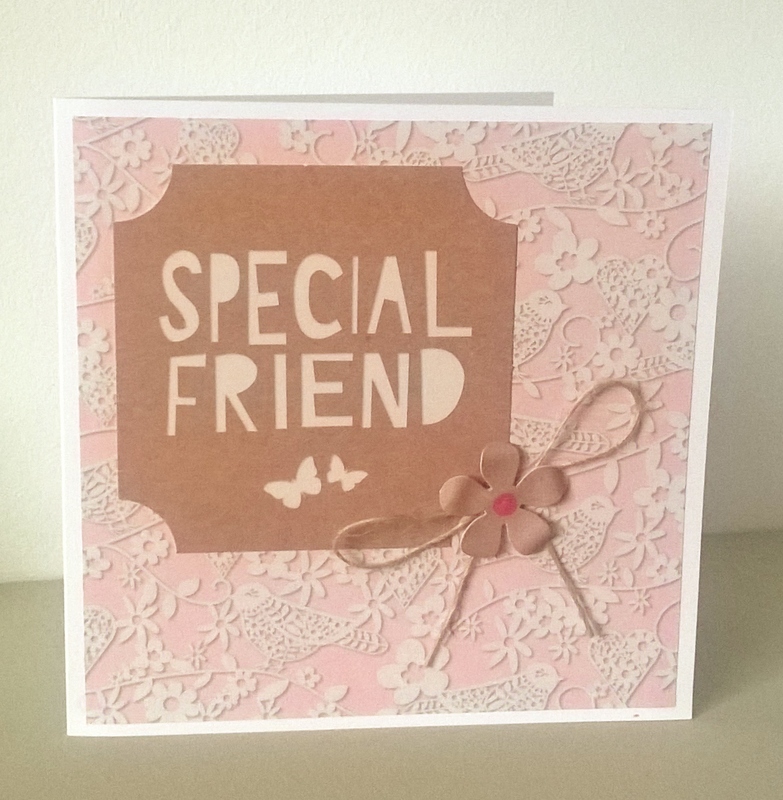 For this card I used one of the stamps in the Julie love stamps collection,a topper from the kit and some twine. As I was using a Kraft card blank I thought it would look nice to cut some of the topper away to show the brown underneath. This one is my favorite so far, I love the pink, white and Kraft. Very natural and girly. 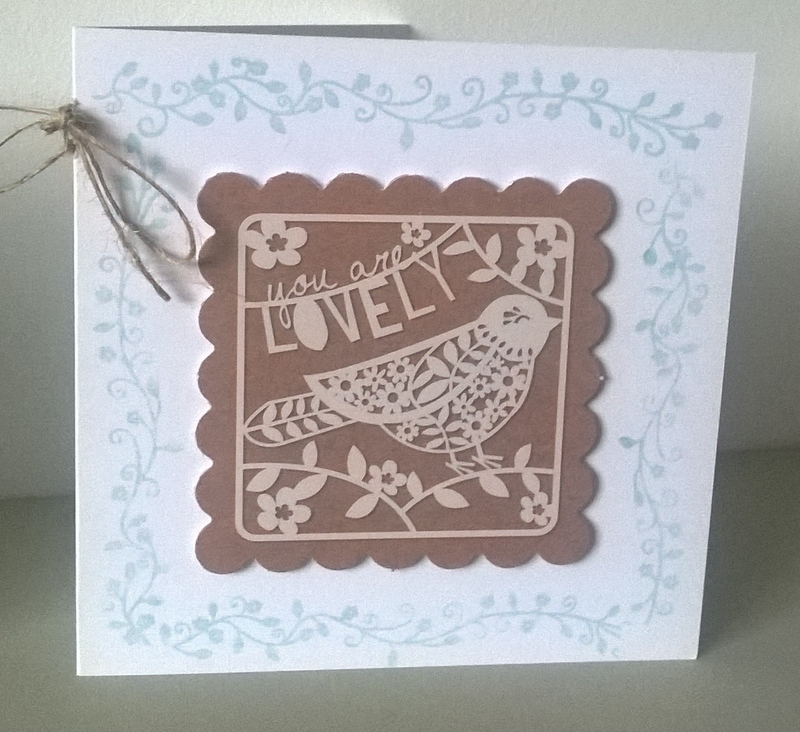 I always like to make use of the off cuts especially when the paper is as pretty as this. A banner/pennant is a great way to use them up and layering contrasting colours and patterns gives a funky look. 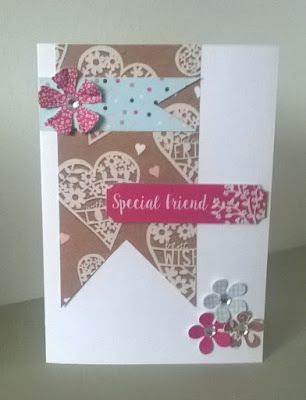 My final card was made with 3 stamps from the Julie loves range, a border stamp, the heart and a flower. I stamped using Versamark clear ink and heat embossed with copper embossing powder. I mated and layered with Plum and white card, added some copper pearls. I realised I didn't have any purple ribbon so out come a Plum promarker pen and some white organza ribbon, I still have purple finger nails but it was worth it as the bow coordinates beautifully.